For use in any procedure that requires Trendelenburg, Reverse Trendelenburg, or lateral positioning . Provides superior support and stability with a 100% gel-infused, heat wicking foam pad. Static properties prevent motion transfer even in steep Trendelenburg positioning. Precut to fit the OR table and includes perineal cutout. Ready for use right out of the package – no cutting, measuring, or waiting . Single patient use due to the dissipation of static properties with each use . Single patient use to aid in infection prevention. Compatible with patient warming devices . Single-packed in rolled form for easy storage. The Trendelenburg O.R. Table Pad is an innovation in patient positioning, offering patent pending gel-infused, temperature wicking foam with static properties, providing confidence to the surgeon and staff that the patient will remain immobile. Open package and un-roll STP100 on O.R. Table. Orient the pad so that the chephalad edge of the pad is even with the chephalad edge of the OR Table. The perineal cutout will also aid in pad orientation. Lay pad directly on O.R. 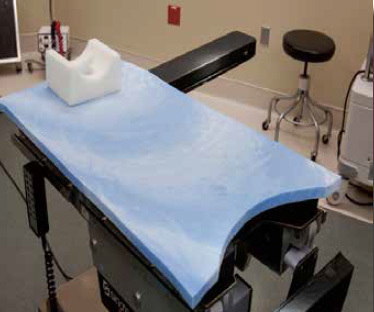 table and ensure there are no other materials between the STP100 and the O.R. Table, such as draw/lift sheets or other linens. Maximum patient skin contact with the pad provides the greatest stability for the patient in Trendelenburg positioning. Keep this in mind when positioning your draw/lift sheet if one is used, and minimize the width of sheet that comes into patient contact. 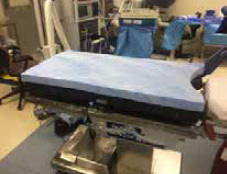 When using a draw/lift sheet, always place it on top of the STP pad so that it will be between the patient and the STP pad. 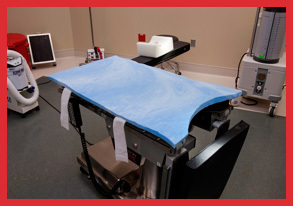 Position the sheet so that it will contact the patient’s lumbar spine, and minimize the width of the sheet to maximize the patient’s skin contact with the pad while allowing for patient lifting and arm tucking if necessary. STP100s with table rail straps aids in keeping the pad in place during patient transfer from bed to table. STP200/S is 2” thick throughout the entire pad and is ideal for Bariatric surgery and other procedures that require reverse-Trendelenburg positioning. The table rail straps on the STP200S aid in keeping the pad in place during patient transfer from bed to table. STP150S is 1” thick at the perineum to minimize excess material, and “ramps” up to 2” of thickness from the lumbar spine to the top edge of the pad. Extra thickness is ideal for Trendelenburg positioning for both lighter and higher BMI patients. The table rail straps aid in keeping the pad in place during patient transfer from bed to table. Part of the STP series of O.R. 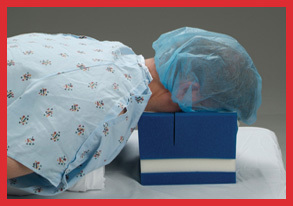 Table Pads used for Trendelenburg, reverse-Trendelenburg and Lateral patient positioning. 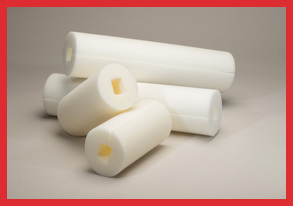 Latex free, single-patient use and stored in rolled “sleeping bag” form for ease of storage. 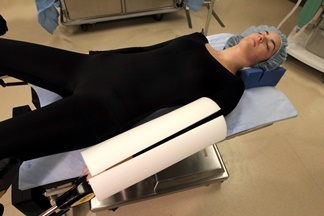 The integrated arm protection offers patient safety and clinical staff ease of use and convenience in patient positioning for lithotomy/steep Trendelenburg. 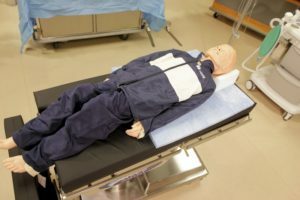 The “Wing” material can be used to either fully encapsulate the patients’ arms, or they can be used to simply pad the patients’ arms, depending upon hospital protocol. Any excess or unnecessary “Wing” material can be removed by simply cutting it. Provides skin protection and pressure reduction for Lateral positioning in conjunction with all types bean bag devices. 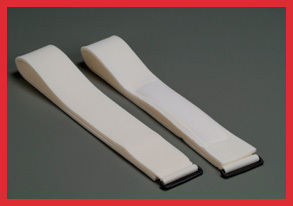 Made of the same gel-infused viscoelastic foam found in the STP Series of Trendelenburg, reverse-Trendelenburg and Lateral positioning pads. 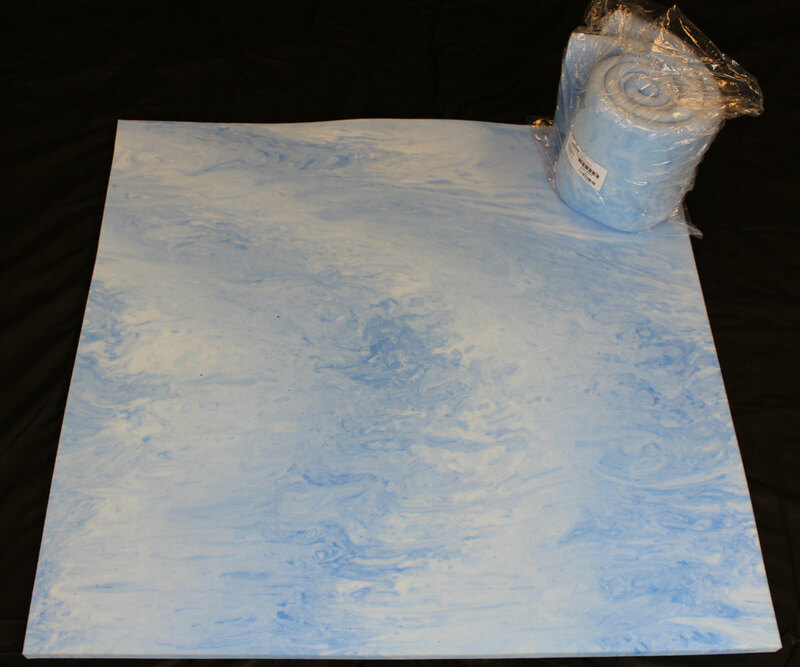 Dimensions of 38” x 40” x 1” covers entire bean bag surface and allows maximum overlay coverage. Helps protect against nerve injury, compartment syndrome and pressure ulcers. Stored in rolled “sleeping bag” form for ease of storage. Sleeves provide 360° padded protection for the arm and hands. Sleeves allow easy access to IV sites for Anesthesia providers. Sleeves easily accommodate blood pressure cuffs and IV tubing. Sleeves are single-patient use and are latex free.